Thermal Entertainment is proud to welcome Nashville's SUMNER ROOTS to their roster. The band features former FRAMING HANLEY members Kenneth Nixon (vocals), Ryan Belcher (guitar) and Jonathan Stoye (bass). Rounding out the band will be Shad Teems on drums. Kenneth Nixon states "When Ryan and I started writing music together again, we really had no plans or end-game for what it would be. After the first few sessions, we realized we were churning out some of the best stuff we had ever written together. Fast forward a few months, and we were contacted by Thermal who had heard our first song we had released ("Maeve") and really liked what they had heard. It was clear from speaking with them that, in addition to being a fan of what they had heard, they were also excited about how excited WE were about the material we were producing, and that they wanted to approach this as a true partnership; which, as we are all aware, cannot necessarily be said about most labels. In speaking with some of the other bands they've worked with, and the Thermal, we're even more stoked than we already were in where this band can go." Ryan Belcher adds "It’s funny how things work out. When Nixon and I decided we wanted to do another project, we didn’t really set expectations on what it would turn into. At first, what we were writing had this sort of dark country sound - we’re both big Jason Isbell and John Paul White Fans – but we must have just missed making noise because it turned into a rock band pretty quick. Then once Shad Teems and Jon Stoye came on board it transformed into this whole new animal. The songs we’re writing now are the best material that I’ve ever been a part of. It’s a thrill to be working with such a talented group of musicians, and to have Thermal Entertainment at our back. We’ve got a great thing going here, and I know we’re all looking forward to watching this all unfold." FRAMING HANLEY released three albums before calling it a day in August 2015. The Moment (2007), A Promise to Burn (2010) and The Sum of Who We Are (2014) have sold over a 1/4 million copies all charting in the Billboard Top 200. The albums produced the radio hits Hear Me Now, Lollipop, You Stupid Girl, Collide and Criminal. The band had toured extensively throughout North America, Europe and Australia playing many of the top festivals. 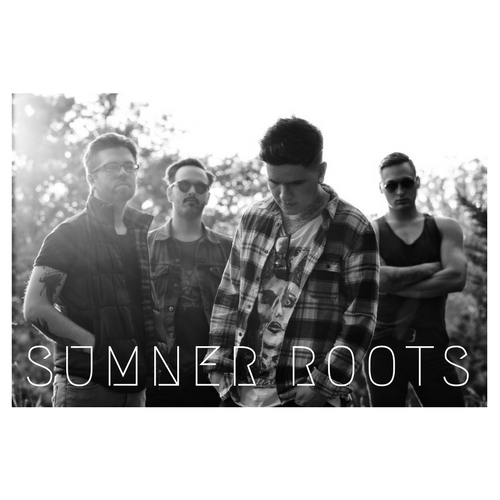 “We are excited to add Sumner Roots in the Thermal family of already amazing artist/bands. Nixon, Ryan and the guys bring a strong background of success with Framing Hanley to our organization. When this opportunity presented itself and we heard the directionSumner Roots were heading with their music, we knew it was a fit. These guys have a wealth of talent and will continue their success as a major part of our roster” states Kyle Favors, President of Thermal Entertainment, LLC. Stay tuned for further updates and the announcement of SUMNER ROOTS' debut album due in Spring of 2018. DESERTFEST LONDON: Old Empire stage announced! ATTILA Drop New Song "Three 6"
Bloodshot Dawn ‘Reanimated’ With New Album!